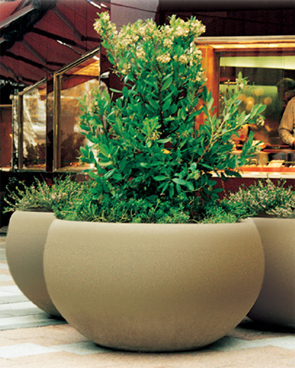 These precast concrete planters measure 42"Dia. x 24"H are constructed with 1/4" rebar and meet all ASTM C150-07 and C31 standards. Add the optional reservoir system which will extend plant lifespan while reducing the frequency of watering.